Today’s townland is Ballyreagh in County Down. According to the PLACENAMESNI website, the name Ballyreagh probably comes from the Irish Baile an Reithe meaning “townland of the ram”. 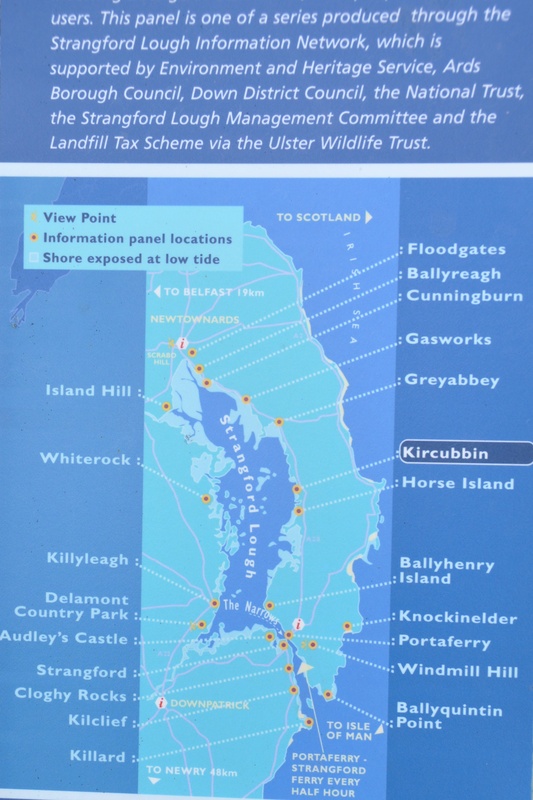 For once I actually have a map pinpointing the location of the townland. I snapped part of the tourist information sign at Kircubbin. In this enlarged version, can you see Ballyreagh? 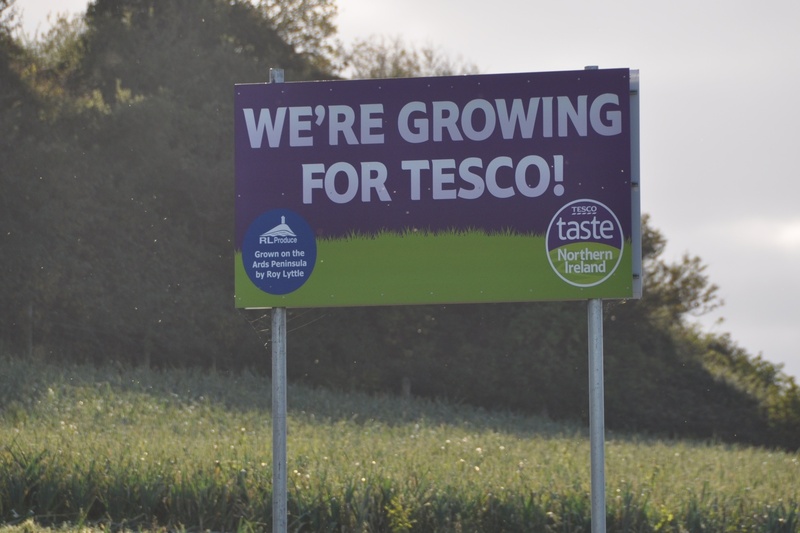 It’s right on the edge of the town of Newtownards. Two roads run through Ballyreagh on their route south along the Ards Peninsula. 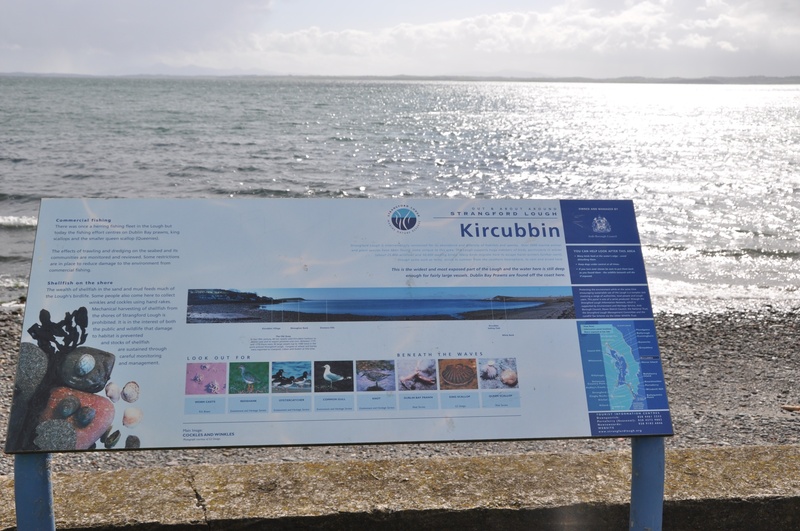 You can go inland along the Bowtown Road, or hug the lough shore on the Portaferry Road. 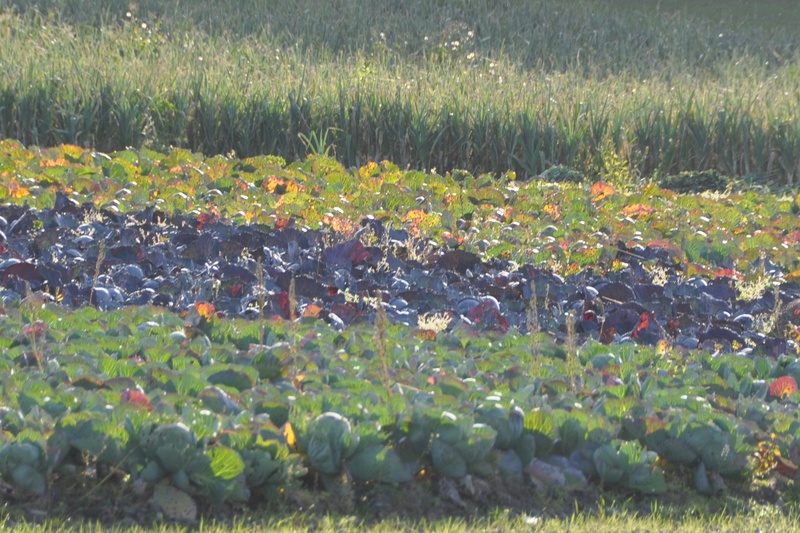 Between the roads lies farmland, like these cabbage fields. 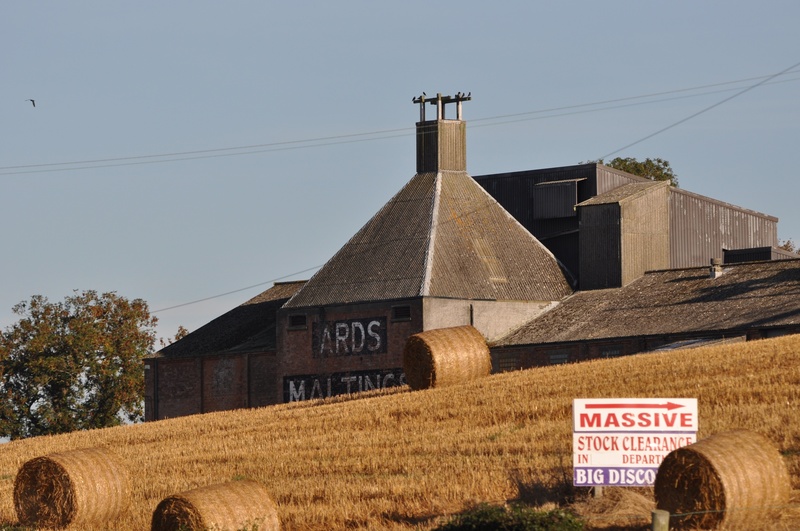 One of the most striking buildings in Ballyreagh is called Ards Maltings. When Newtownards had a brewery, it needed a large facility for malting barley grain for use in the production of beer. There are some great old photos on Derek Beattie’s website showing people working at the Maltings : click here to see those pictures. The old brewery and malthouse have closed, but a new Ards Brewing Company started brewing beer further south on the Ards Peninsula in 2011. I haven’t sampled the beer, but I like the way they are using townland names in “Scrabo Gold” and “Ballyblack Stout”. They also have a beer called “Rockin’ Goose”, which links nicely to the next set of photos which I took in Ballyreagh. 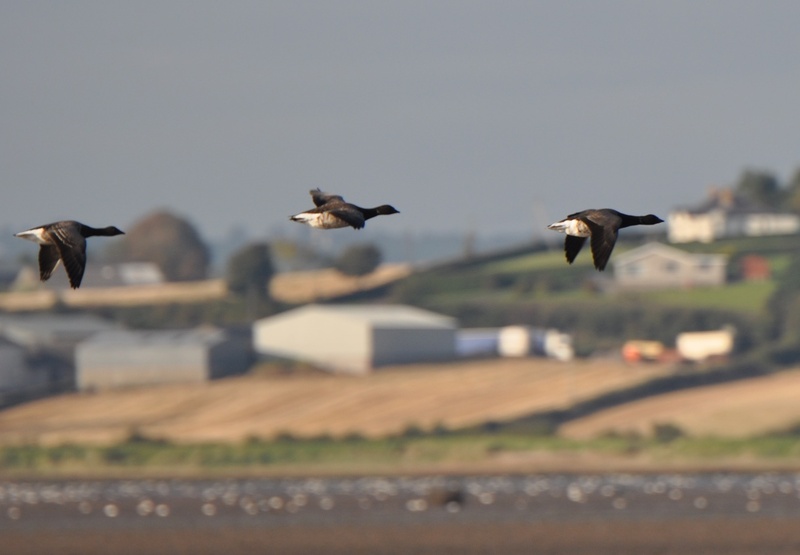 In winter Strangford Lough is home to thousands of pale-bellied Brent geese. I parked at the Ballyreagh carpark to photograph the geese in October. A few weeks later, after an exchange of emails with Graham McElwaine of the Irish Brent Goose Research Group (IBGRG), I was even able to identify individual birds. 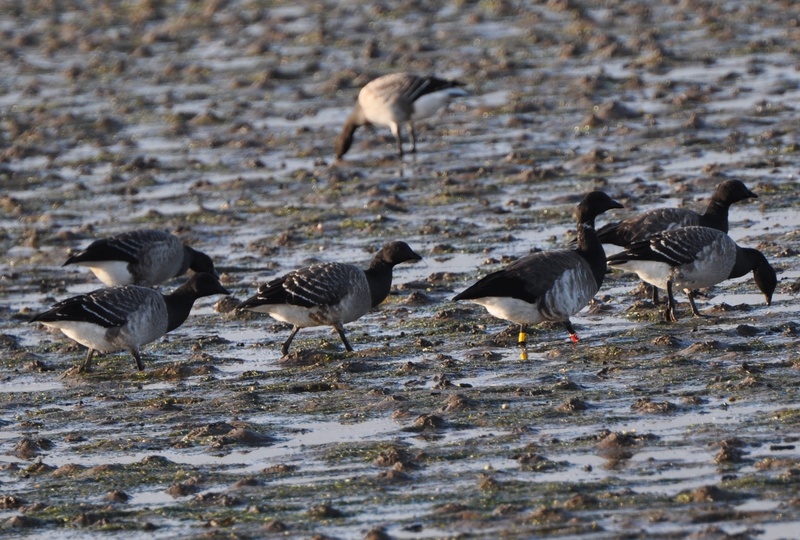 The goose with the red and yellow-ringed legs is a 6-year-old female, ringed near Dublin in 2010. She is part of the East Canadian High Arctic Flyway goose population, which breed in the far north of Canada. In autumn they make a hazardous trip over the Greenland icecap to Iceland, and then fly on to Ireland for the winter. Mrs Red-and-Yellow has been spotted in recent winters in both Strangford Lough and Dublin Bay, so I don’t know how loyal she will be to Ballyreagh townland this year. Click here for the website of the Irish Brent Goose Research Group. If you’re more interested in beer than geese, you can follow these links to the Ards Brewing Company – an interview with brewer Charles Ballantyne from 2011, and their Facebook page. 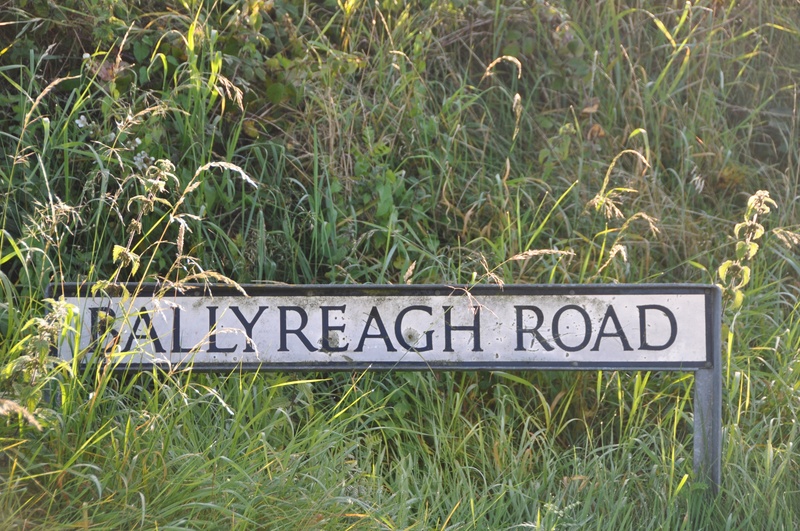 Other townlands called Ballyreagh can be found across Ulster: one townland in Tyrone, three in Antrim, one in Derry, two in Fermanagh, one in Armagh. Which townlands border this Ballyreagh? To the west, Gregstown. To the north, Bootown and Ballyalicock. To the east, Ballywatticock. To the southwest, it’s all water. And finally, click here to see a map of Ballyreagh and to read about the townland’s name on my usual source – PLACENAMESNI.ORG. Finding out about the history of ringed birds is always fun. Its a shame the disco is really a discount otherwise I’d have been over. A whole flock of geese migrating from the Arctic is impressive, but when I thought about that one ringed bird making that journey every year, I was even more amazed. I made my first visit to Winchester recently. Now I know why you chose to live in that area – it’s beautiful. I will blog about it next week, and include a link to your blog.